combat the changes with kya women. KYA is intensive outdoor small group training designed to tone your body and boost your energy levels. There are many large one size fits all exercise groups in town. KYA is different because it offers unlimited modifications, no running required! It's a fusion class that offers the support of a group and the attention of a personal trainer. We're located in Richmond, Virginia at Huguenot Park on the Southside. Whether you are looking for something new and challenging to maintain your fitness level or looking to lose weight and shape your body - this program will suit your needs and help you look and feel your personal best. Get off that sofa and let me show you what you are capable of! 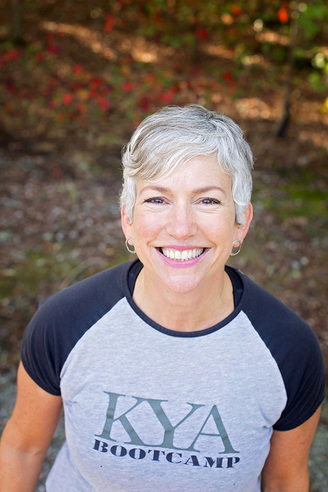 – Jennifer Hunt, ACE-certified personal fitness trainer and weight management specialist, has instructed over 1000 KYA boot camps in Richmond since October 2007. She lives in the Richmond area with her husband and two children. ​For location & consultation, contact us at ​kyawomen@gmail.com or 804.357.8789.